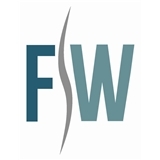 Florida Wellness Medical Group (Tampa) - Book Appointment Online! Our goal is to treat the total you. Preventative medicine and wellness care, including primary care/family medicine, chiropractic, acupuncture, massage, physical therapy, allergy testing and treatment, joint and trigger point injections, supplements, and much more. Everyone at the office was super friendly and helpful but they are listed on Zocdoc as an OB GYN when they are not. They told me they’ve made this aware to zocdoc many times but haven’t gotten a response. Hope this review helps someone else that uses zocdoc to find an OBGYN that dr. Allen is not one! I had a great experience and would highly recommend Dr. Abrahams. I have a complicated history, Dr. Abrahams was very thorough and was conservative in treatment to prevent further injury.